RCA1, also named as RNF53, plays a central role in DNA repair by facilitating cellular response to DNA repair. It is required for appropriate cell cycle arrests after ionizing irradiation in both the S-phase and the G2 phase of the cell cycle. The BRCA1-BARD1 heterodimer coordinates a diverse range of cellular pathways such as DNA damage repair, ubiquitination and transcriptional regulation to maintain genomic stability. BRCA1 acts by mediating ubiquitin E3 ligase activity that is required for its tumor suppressor function. It is involved in transcriptional regulation of P21 in response to DNA damage. BRCA1 is required for FANCD2 targeting to sites of DNA damage. It may function as a transcriptional regulator. BRCA1 inhibits lipid synthesis by binding to inactive phosphorylated ACACA and preventing its dephosphorylation. 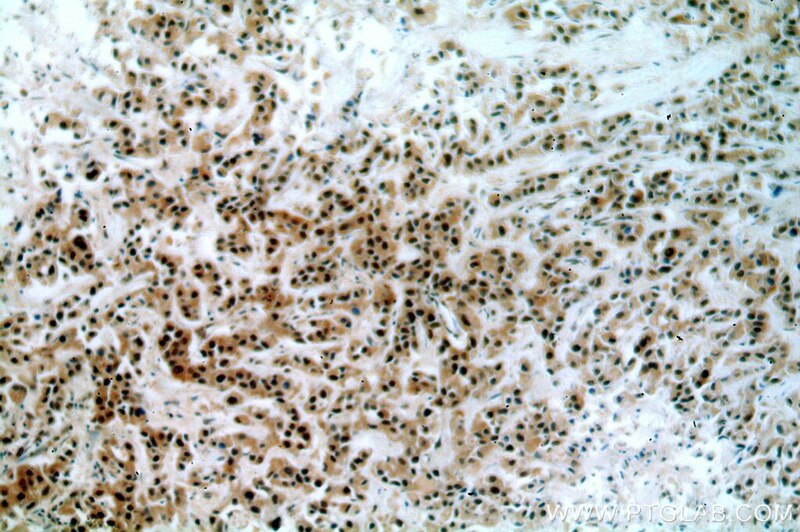 The antibody is specific to BRCA1. BRCA1 appears to produce multiple splice variants. 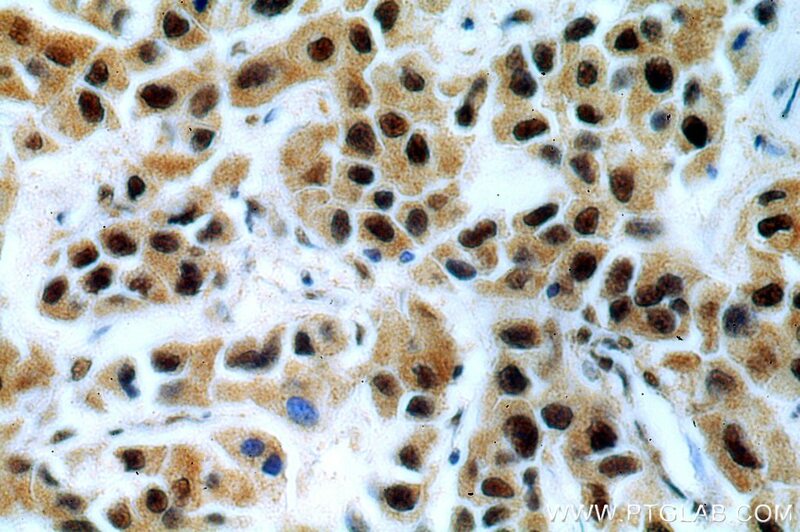 BRCA1 is a nuclear protein with a molecular mass of 220 kDa. The present study describes the isolation and expression of two cDNAs of BRCA1, including a splice variant designated BRCA1D672-4095. BRCA1D672-4095 is generated by exclusion of exon 11 by in-frame splicing and produces a 97 kDa protein. 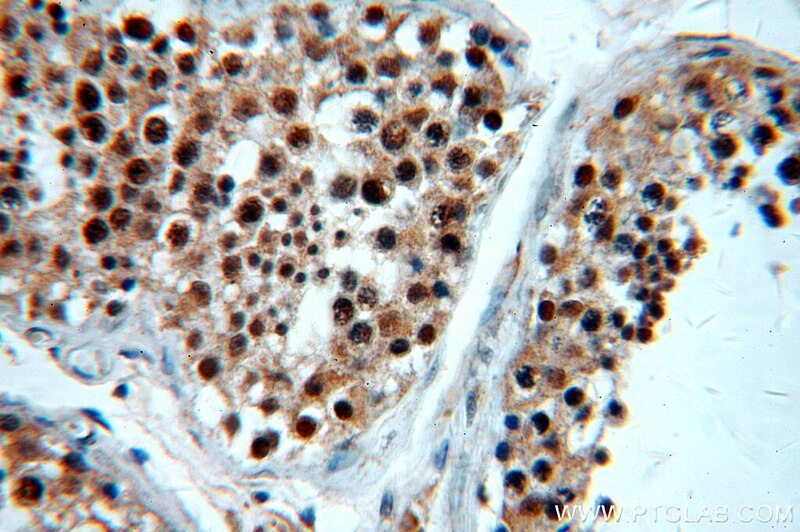 In contrast to BRCA1, BRCA1D672-4095 localizes to the cytoplasm. UBE2D3 gene overexpression increases radiosensitivity of EC109 esophageal cancer cells in vitro and in vivo. Involvement of the activation of Nrf2/HO-1, p38 MAPK signaling pathways and endoplasmic reticulum stress in furazolidone induced cytotoxicity and S phase arrest in human hepatocyte L02 cells: modulation of curcumin. Let-7e sensitizes epithelial ovarian cancer to cisplatin through repressing DNA double strand break repair. 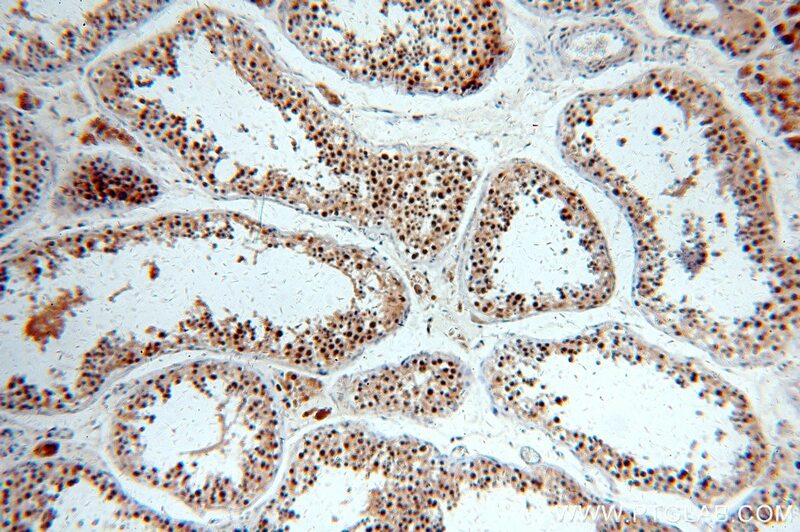 Knockdown of homeobox containing 1 increases the radiosensitivity of cervical cancer cells through telomere shortening.